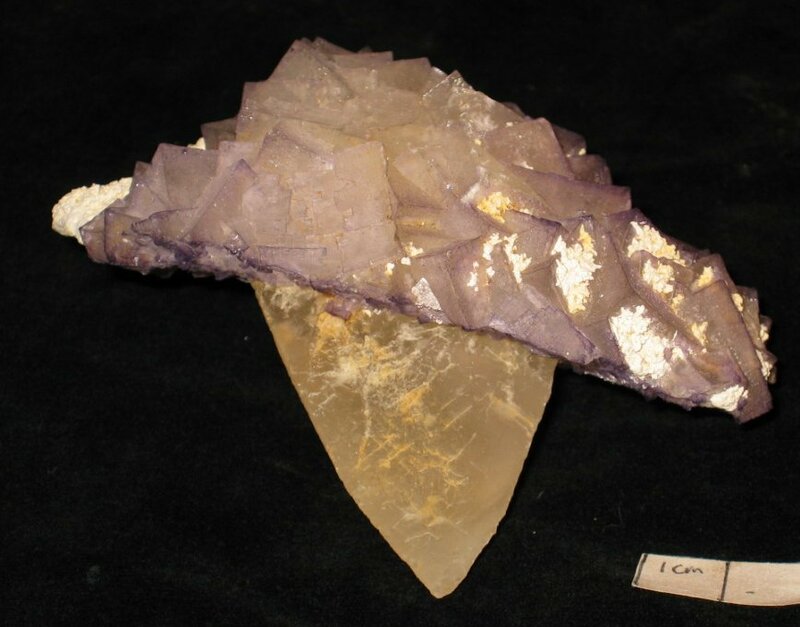 Fluorite on calcite (slightly etched) with barite, from the East Faircloth vein (Hayden mine). Collected in July 1989. Alan Goldstein specimen (6313) and photo.